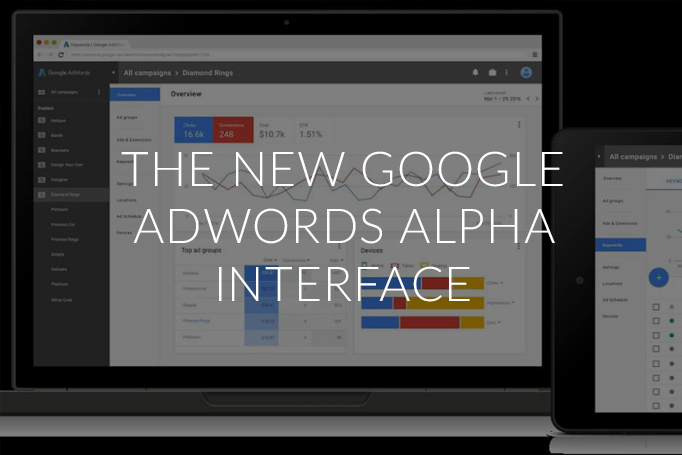 We’ve been patiently waiting (and waiting) for the official arrival of the new AdWords User interface. Today, we can finally announce that the first Alpha prototype is here (you may even have noticed a definite change in the look, feel and function of your own AdWords dashboard). 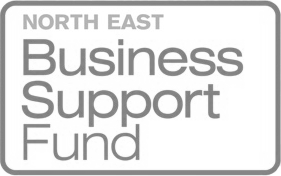 We’ve been busy digging in deep and getting to grips with this fresh new look. From our in-depth inspection we’ve summarised what’s new on the style front, what’s in, what’s out and what’s yet to come when it comes to functionality. If you’re yet to see the new interface, here it is in all its glory. You might notice that this looks a little like The Google Merchant Center. The main changes you’ll spot is the new dark menu and the large blue buttons, while the menu items that previously appeared above the main data table have shifted to the left, displayed over two sets of menus. You’ll also see some icons in the top right that represent filter, segments, columns, and downloads options. We’re going to nail our colours to the mast here – small to medium businesses that tackle their own PPC will be more impacted by the re-design and tool changes than agencies. For example, the missing quick filter search is going to be a bit of a pain for some. 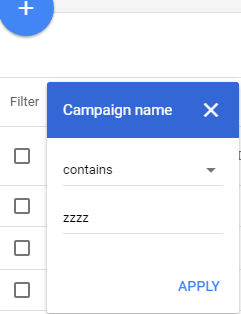 While you used to be able to simply tap in the campaign or ad group name and hit enter, now you’ll need to follow a longer process using a full filter query. Despite some clunky changes, data overviews and data visual representations are a big win for SMEs and agencies alike. If we look to the location targeting section, you can see something that becomes a common theme with the new interface – the focus on bigger and better visuals. The smaller of advertisers will also welcome features that have been streamlined and simplified. Namely these changes revolve around making it easier to create campaigns customised to an individual company’s needs. The new incremental step by step process also helps users to hone in on their key advertising goals when selecting their campaign format. What’s out (at least for now)? Dimensions – Dimensions are not currently included in this Alpha version. This will come as a surprise to many, as plenty of AdWords users considered this to be a seriously useful (and often used) feature. Don’t panic just yet however, Google are still testing, and we may see dimensions make an appearance in Beta. Price extensions – Price extensions are one of the newest extensions to be added by Google, so while they’re currently missing in Alpha, we 100% expect them to pop up in Beta. 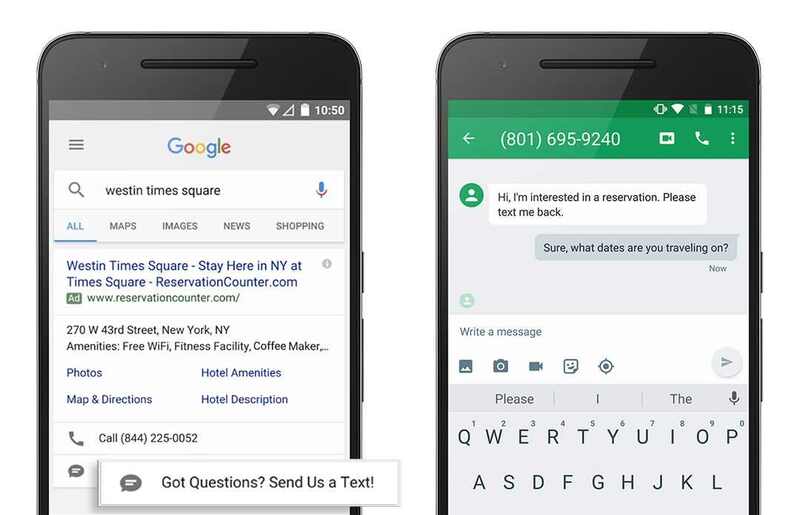 Message extensions – Message extensions, like price extensions, were added only a matter of months ago, so these too we expect to see in a future version of AdWords (especially since they’re achieving CTR’s that are 50% higher than mobile ads). Shared library – Given that audiences, shared budgets and business data were all found in the shared library, we’re waiting for this feature to make an appearance in Beta. Goals – This helpful feature allows you to select a goal for every campaign, simplifying the processes you need to follow. This is going to be super helpful for those who aren’t AdWord professionals. 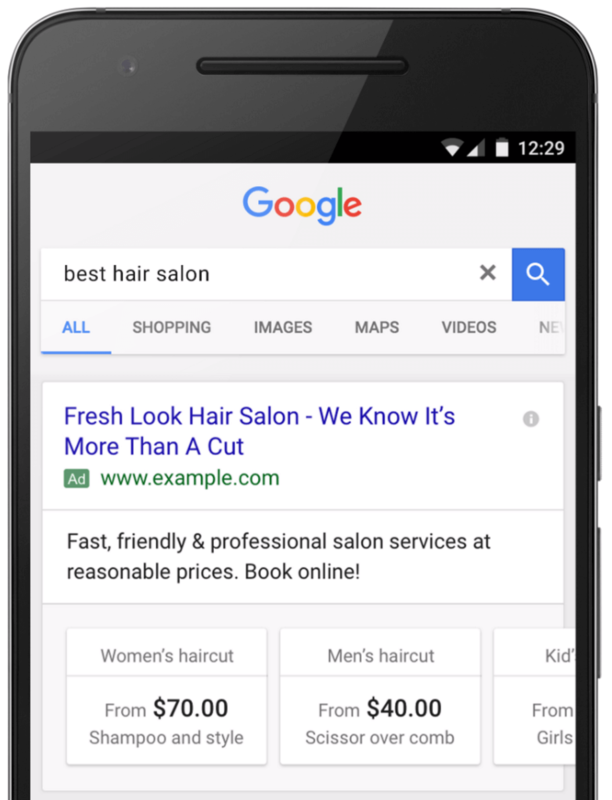 Once a goal is selected AdWords will present suggestions in a bid to create the most effective campaign possible. Advanced Bid Adjustments – This feature is a nice little helper to assist with optimisation selections, allowing you to increase or reduce your bids based on the interactions your adverts have achieved. Promotion Extensions – Promotion extensions provide the ability to show and link offers in text ads, with the tag helping to grab searcher attention. Household Income Targeting – Household income is a pretty useful bit of data to include in your campaigns (especially for those in the B2C market with relatively high value products or services). Previously you was only able to do this in a roundabout way by targeting affluent locations by name. 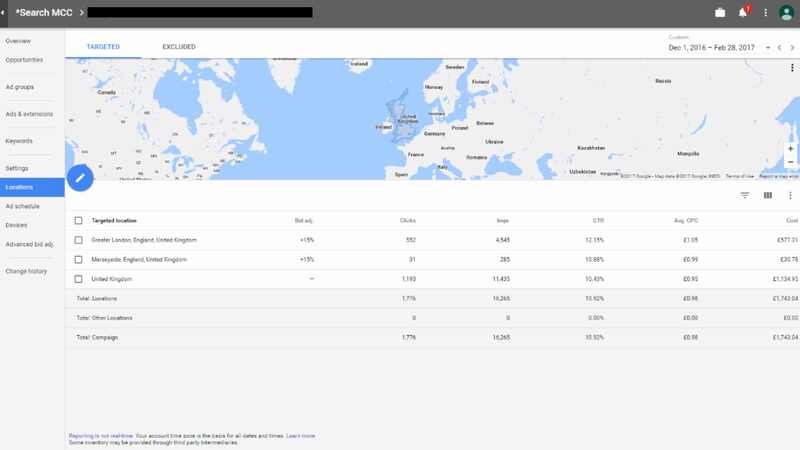 Audiences Page – If you watched the live stream of Google’s Marketing webinar, you may have been waiting for this feature (and if you didn’t, you can find the video at the bottom of this blog article). The Audiences Page pops all audience targeting and optimisation options together. You’ll also spot new words and a simplification of terminology, such as “Target and bid” changing to “Targeting” and “Bid only” now being called “Observations”. Landing Page Performance – The brand new Landing Page Performance Page will reflect the look and feel of the ads and keyword pages. 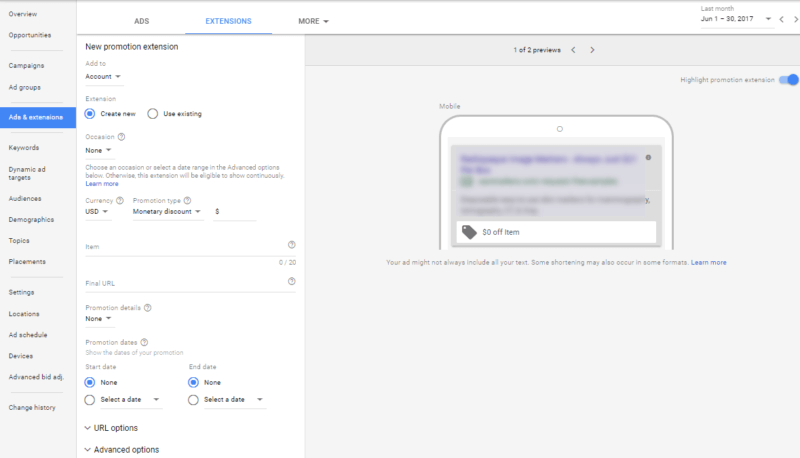 This feature is going to be a big helper for the in-house teams out there handling PPC for themselves, and will particularly improve landing page experiences on mobile. Google Attribution – Google Attribution is a spanking new feature that brings in deeper insights and more functionality than is currently provided via AdWords or Analytics. In the simplest sense, it allows both to work together in harmony much more effectively – mapping out sales funnels and user journeys more efficiently. Store Sales Measurement Uploads – As a final string to the bow of the new AdWords platform is this exciting feature for retailers. This tool will empower retailers that use loyalty program emails at their POS, allowing them to import in-store transactions into AdWords. It’s just another way in which Google are embracing their retail-based users, and a further addition to their in-store visitation and sales data features. The coming 12 months are going to be pretty interesting for those involved in the world of PPC. While these changes may temporarily slow things down for those who don’t run campaigns professionally, in the long run there’s no doubt that the new AdWords will revolutionise this marketing medium. Exciting times indeed.